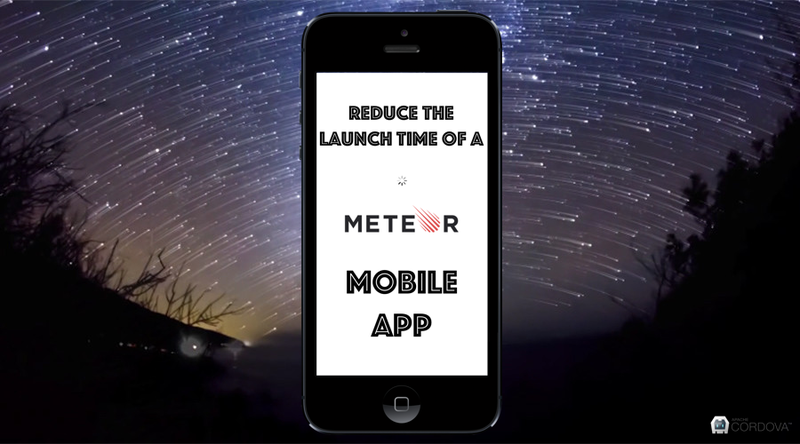 what is startup time of your meteor cordova app? I can’t get it to less than 7-10 secs. Yeah I’m in the same boat, it highly depends on your internet speed. Trying to find ways to preload more assets on initial download. Did you achieved any success? Does Meteor load anything other than needed app data at the startup? If simple non-meteor cordova app can make 2-3 secs startup time, and there is no need in meteor apps to wait for app data there should be way to achieve such time too … Up to 4-5 secs from my exp is yet ok, but 7-10 in worst case i experienced 12 seconds kills new users. Not yet, I’ve been posting in the forums regarding the issues that lead up to that, but I’ve been receiving no responses at all unfortunately. I've been experiencing occasional freezes in the UI when the app is loaded on resume. Thoughts on why that might be happening? Hi all, happy to see others thinking about this problem too. I’m on Meteor 1.2 and am getting 6 secs from clicking the app to splash screen going away. Any tips on improving this time? I know there’s lots of discussion on reducing resources loaded, using fast-render etc - but the bit I want to optimise is how long the splash screen is showing. What is within our control? Well, we don’t really start a server on Android, we serve files through a web view interception mechanism. With Meteor 1.3, we did switch to a local server on iOS, and this actually makes file serving faster! Although there is some overhead from loading the files, I suspect the problem with the splash screen has more to do with the way the launch-screen package works. Depending how you have this set up, it might wait for your data to be loaded before it goes away. A very useful read, thank you! Doesn’t sound like my splash screen is going to go faster any time soon (I have left my launch-screen package as default) but I’m very much looking to the performance improvements all round on Cordova. I I will be trying the beta soon. Thank you and keep up the good work!! I removed the Splash Screen with App.setPreference(‘SplashScreen’, ‘CDVSplashScreen’) in mobile-config.js and my startup time went from 11 seconds to 4.5 seconds. I love you. You just saved my life. Ios app spashscreen stays 2s, is good. but android version stays for 8 seconds. No idea why this is. I will look into it. @martijnwalraven I’m just wondering if there a big differences between the Android and iOS Cordova integration? On my iPhone, the Meteor app starts super fast like a native one, but Android hangs for about 3-5 seconds on the launch screen. That’s a huge problem on slower devices where the app get’s killed if it goes to background (giving the user a bad experience if the app shows the launch screen for 5 seconds everytime they reopen it). For me, removing launch-screen package reduced the wait time on splash screen from 8-10 seconds to about 2. I still had to add a loading indicator to the app so user would not stare at a blank screen, but at least now there’s some immediate feedback instead of 10 seconds of staring at the splash screen. I don’t even have to hide it manually, because when the app loads, the UI covers the spinner (I’m using ionic). …I’ll see the message after 5 seconds in my console. So I don’t think that’s a launch screen issue? I’m still having issues with this, even after removing the mobile-experience package trick. My Android app starts up in about 8 to 10 seconds, which takes way too long. Is there any new fix for this? Did you solve your issue with launch screen loading yet? Mine is the same as your. On Android it’s too slow (near 7~8s) with white screen. It’s annoyed when I look at my Android device loading the app.